Sooo... I missed making a post about "The Same Boat", thus I will slightly touch on that episode, because it basically explains how Carol has been acting so far. Sorry for the delay. I was extremely busy for weeks due to really exciting stuff! Anyway, this post will focus more on "Twice As Far". This will be a quick recap though. Sorry for any typos or errors. I am doing this as quickly as I can. So last, last week, "The Same Boat" focused on Maggie and Carol, and how Carol was acting strange. We all thought it was an "act" at the first place, to make it seem like Carol has something up her sleeves to get her and Maggie out. But something was truly bothering her. 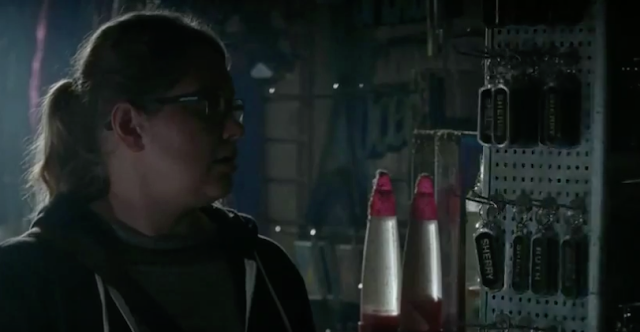 She even hesitated in killing Negan's crew. 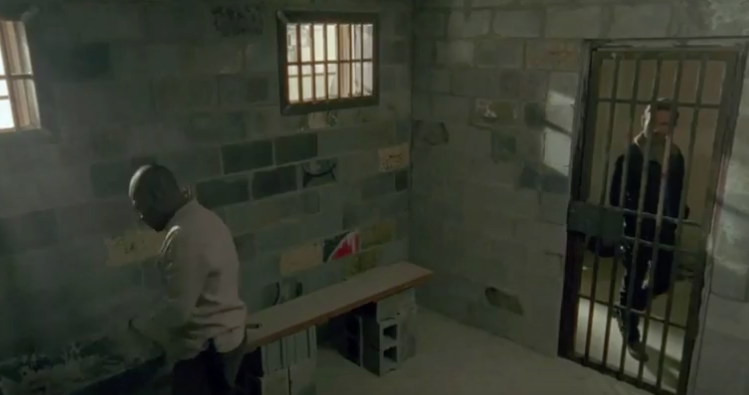 It was also good to see Daryl hug her once again, the way he hugged her back when they thought they lost her in the prison. 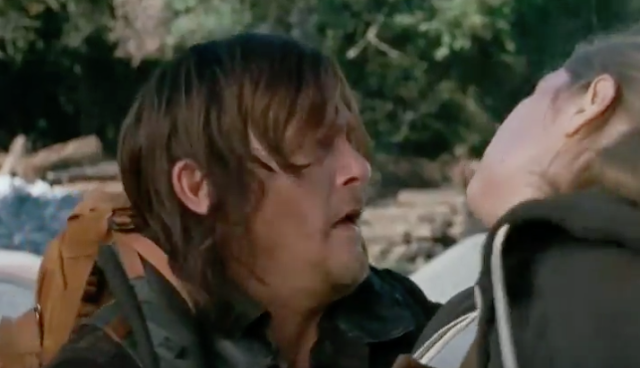 Daryl and Carol again. Ooooh. 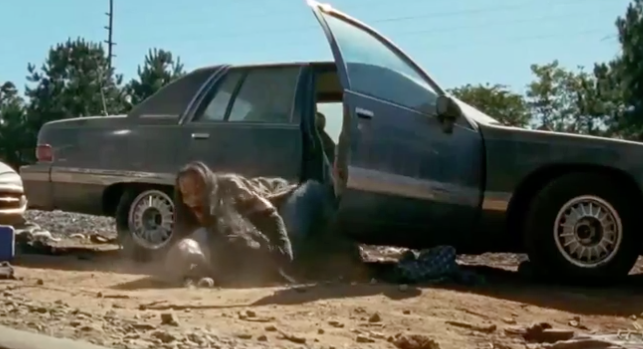 Anyway, this episode has shown that Maggie and Carol were true fighters, but Carol was definitely having some dilemmas in her head. I thought she was gonna die. But this episode was a complete "GIRL POWER" episode. I love it. So, let's head on to "Twice as Far". I feel that this episode is all about finding one's purpose and acting on it. I love how we got a cycle of the daily routine in Alexandria during the intro of this episode. We saw the same scenes over and over again. So what is Morgan building? A prison cell? Rick, of course, asked. And apparently, it is to give him more choices next time something bad happens. And of course, another day passed by. We got scenes of Carol and Tobin. And Carol just kept on holding on to her rosary. So many things are probably in her head. I can feel the tension. Then there's Rosita. I am starting to like this girl. I love her. Spencer and her look good together, but I feel like Rosita is still picking herself up. I don't feel them as an item yet. But I love Rosita. Did I already say that? I think this is such a good Rosita episode. 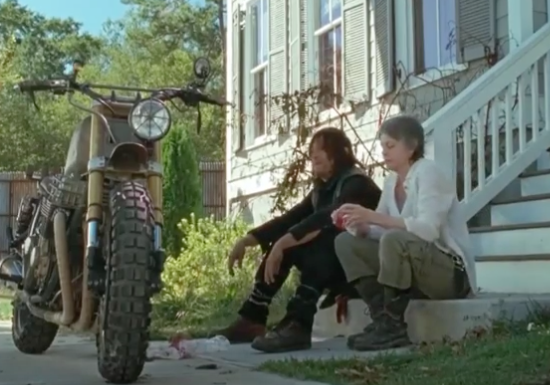 Carol and Daryl. I always thought these two will end up together. But of course, it's not yet happening. But the chemistry's there. LOL. He got his bike back. This scene reminds me of how much they used to care about each other. It's nice to get that vibe back from these two. Carol, again, is having some dilemmas in her head. She got asked by Daryl what Negan's crew did to them. And she said, "To us? They didn't do anything." I think that meant a lot for her. ANOTHER TRANSITION. Back to the everyday routine scenes. And Carol is holding the rosary again. 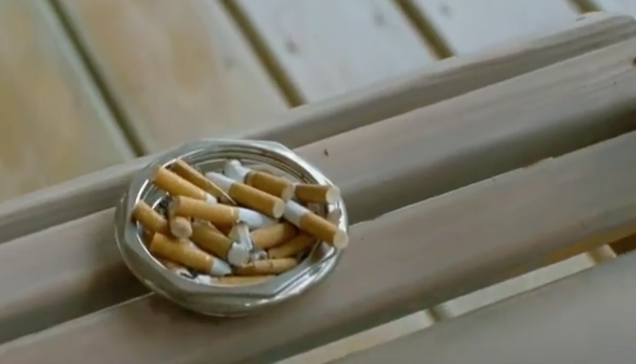 And the cigarette count begins... now. AFTER THE LOOOOONG INTRO, we finally get the WALKING DEAD intro. Wow. So many things have happened before the opening credits entered. 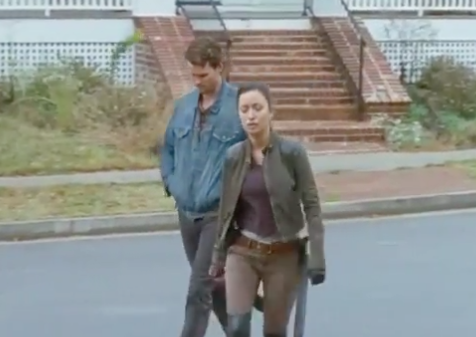 So Spencer is following Rosita like a dog (sorry for the comparison), asking her what they are doing. Rosita seemed to be unimpressed at this moment. I can see that she's still trying to heal herself. Anyway, I hope they work out well in the end. Denise, of course, was on a mission. She wanted to go out there to find more medicines. 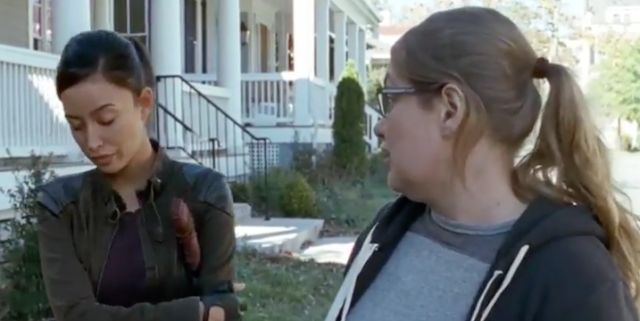 Denise wanted to help, so she approached Rosita and Daryl. Rosita felt that she was not ready yet. But Denise insisted. She wanted to contribute. She wanted her life to have a meaning. And I have a feeling that Tara is one of the reasons (and since she's not in this episode, I have a feeling that she was in labor in real life. Lol.). 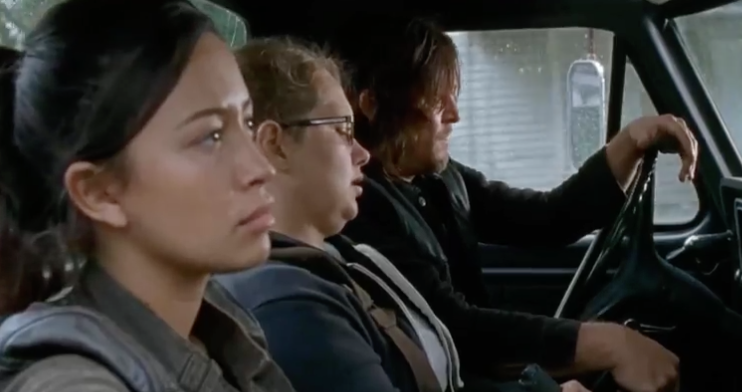 Of course, I was happy that Denise was trying to be useful by teaching Daryl how to properly drive. And a tree had to block them, so now, they had to choose between the road or the tracks. Daryl wanted the road, so off they went. Can I just say that I love Eugene's new hair? So we see him and Abraham together. 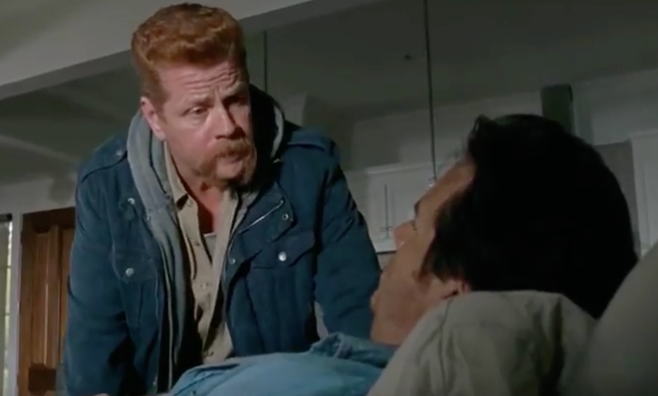 And Eugene shared to Abraham that he has changed, adapted, and has become a survivor. Of course, Abraham has to be mean. "Keep telling yourself that." Okay, Abraham. You are really mean. First, Rosita. Then, Eugene!? Why do you keep trying to shake off all the people who have always been with you since walkers know when?! Lol! We now go back to Denise and Rosita. 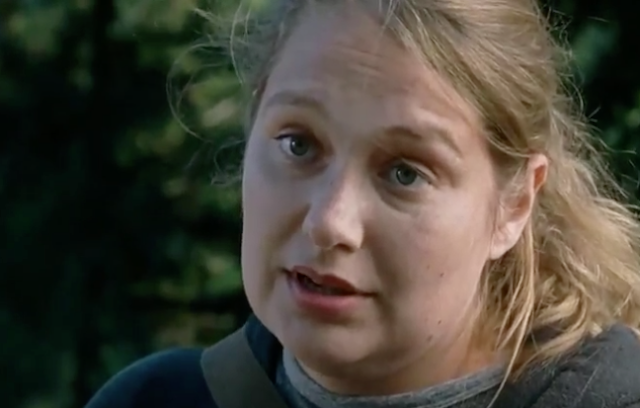 Denise said sorry for following Daryl instead of Rosita. Then she asked Rosita who taught her how to fight. Rosita said that a lot of people taught her a lot of things, and that years from now, they'll just be a name in a long list of names. Back to Abraham and Eugene. Eugene proposed to Abraham what he wanted to do at the place they found. He wants them to manufacture their own bullets there. All from scratch. Eugene also wanted to prove his point that he has become a true survivor. 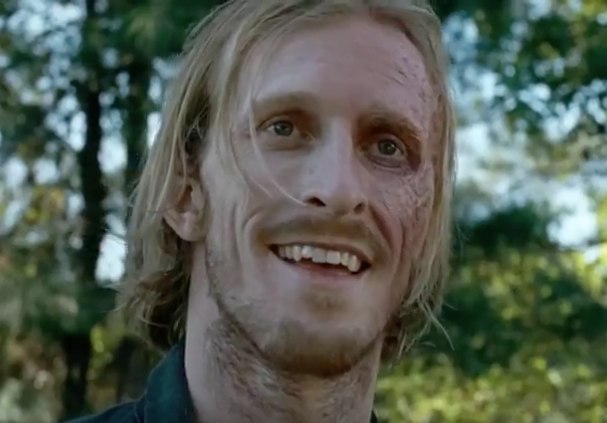 So when a walker came out, he tried killing it. Unfortunately, it had a melted metal helmet on its head. The struggle was real. 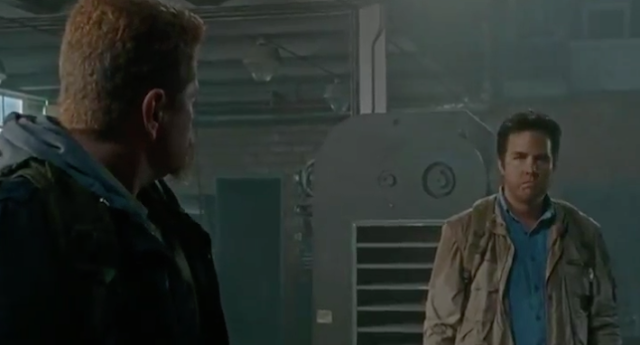 He kept telling Abraham not to kill it and that dibs is dibs. This was his. Abraham could no longer stand the sight. He went for the kill to save him. He reminded Eugene that his skillset is making his DIY ammo. Not killing. Eugene was not happy about this and told him, "Your services are no longer required. You've outlived your usefulness to me. Plain and honest." Wow. Harsh. Friendship over. Game over, RPG. So Abraham got angry and left him to find his own way back. Back to Daryl, Rosita, and Denise. They found the pharmacy. They entered and heard something. Something was inside the pharmacy. But it sounded stuck. Wow! Expert! There were photos of a young boy inside this pharmacy. Maybe that noise had something to do with this boy? Denise decided to try out her killing skill. This is her, trying to be like Eugene. Trying to prove to herself that she can face her fear. 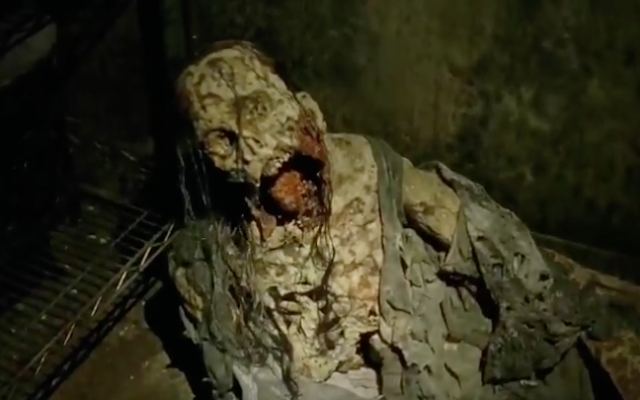 She went for the door and found a walker with a cast on the bathroom floor. All over the wall, there were writings of "Hush hush hush" and in the sink, there was a baby's shoe. So was the walker the mother trying to quiet down her crying child to hide from the walkers? Or was she saving him from herself? So many theories right now. This obviously affected Denise. 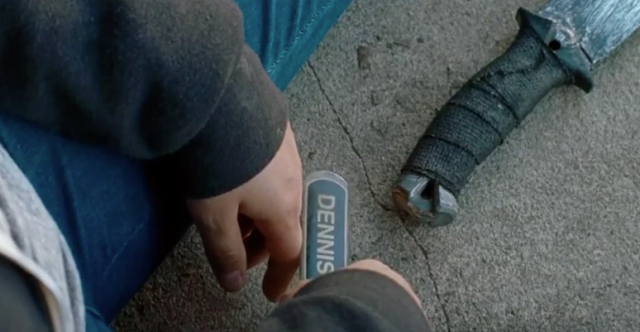 She headed outside and cried, while holding a "Dennis" keychain she found from the keychains being sold in the pharmacy. 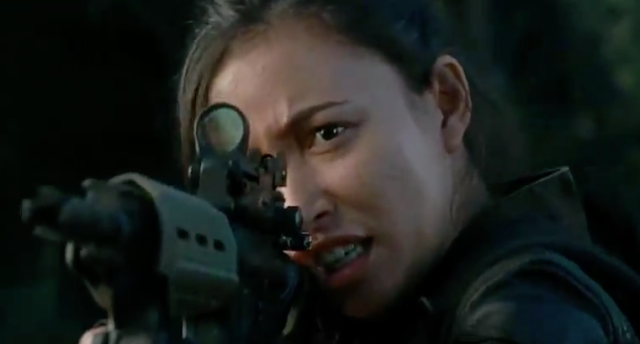 Rosita told her once again that she wasn't ready. They started talking about "Dennis", Denise's brother. Daryl joked that it sounded like they had the same brother. 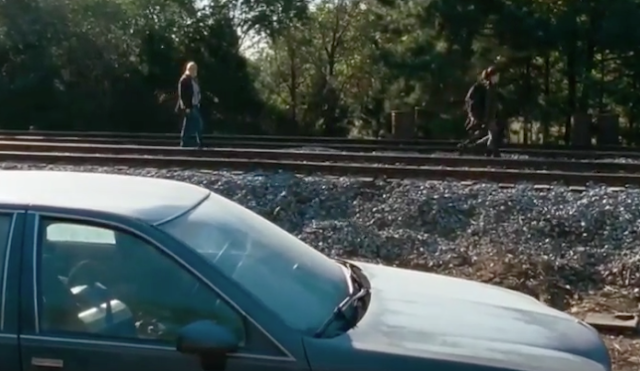 For a change, Daryl followed the initial suggestion of going along the tracks. Looks like it's going to be another happy ending... But wait... This is THE WALKING DEAD. Now, Denise. Denise, Denise, Denise. She was wayyy behind Rosita and Daryl. Then she walked off the tracks. She keeps walking off. She is really going to get herself in trouble. This girl. The way they are building her up in this episode gives a feeling that is all too familiar. She found a car. And a cooler inside. 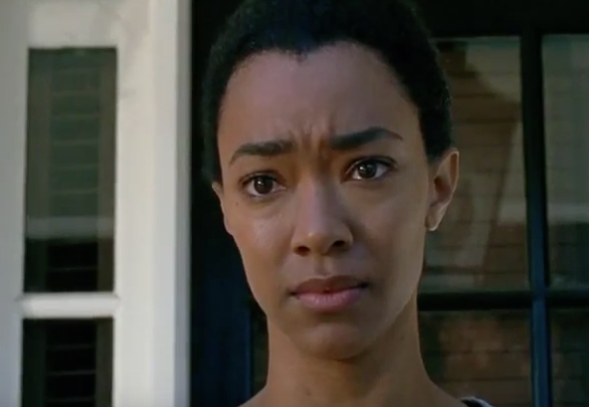 I bet she was thinking of Tara at this point. Soda. Y'know. One problem though. Walker inside. Duh. So, she opened the door and tried to get the cooler. This is WALKING DEAD. 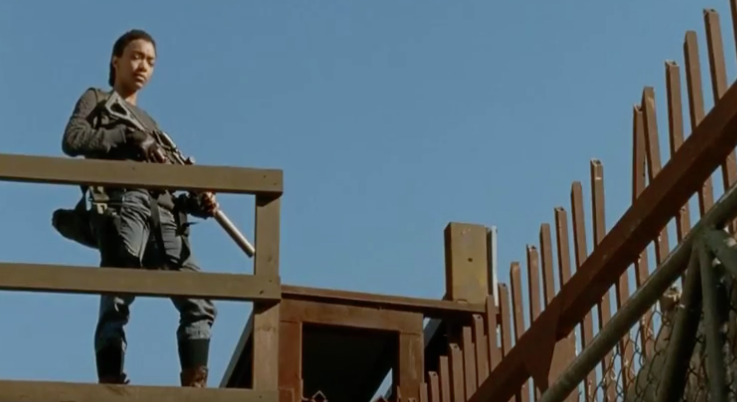 So of course, the walker has to find its way to make sure it fights with this newbie. Rosita and Daryl ran back to rescue her. 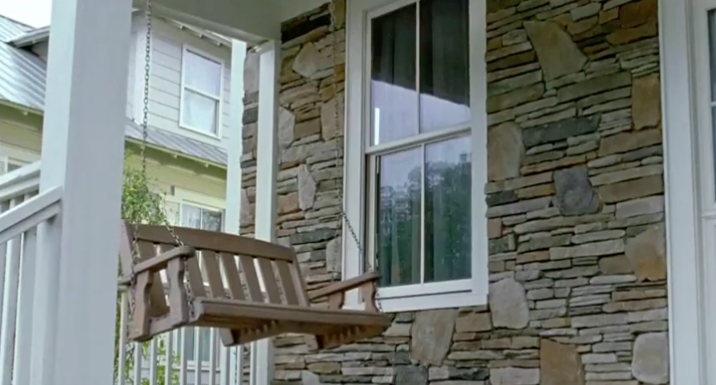 But just like Eugene, she wanted to kill this. She wanted to prove to herself that she can face her fears. BAM. Good job, Denise! She survived. And of course, you have to vomit your brekky out. Oatmeal. On her glasses. 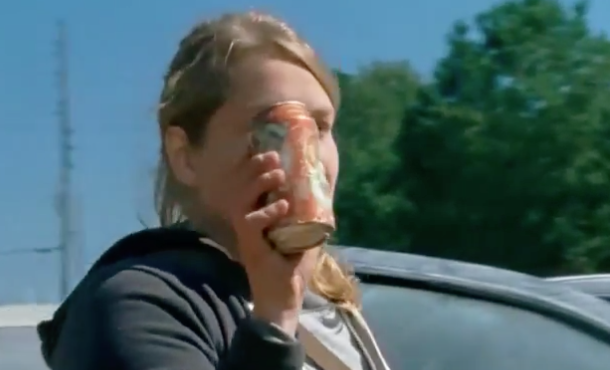 Awww... She finally got the soda for Tara (we have been waiting for this moment)! Rosita and Daryl are upset. "YOU COULD'VE DIED OUT THERE!" "You wanna live, you take chances. That's how it works." said Denise. For one soda. For Tara. For herself. "Are you seriously that stupid?" asked Rosita. Denise replied, "Do you have any clue what that was to me? What this whole thing was for me?" She looked at Daryl, "I asked you to come with me because you're brave like my brother, and sometimes you actually make me feel safe." This was personal to her. She saw her brother in him. I think it was very moving to finally know something about Denise. 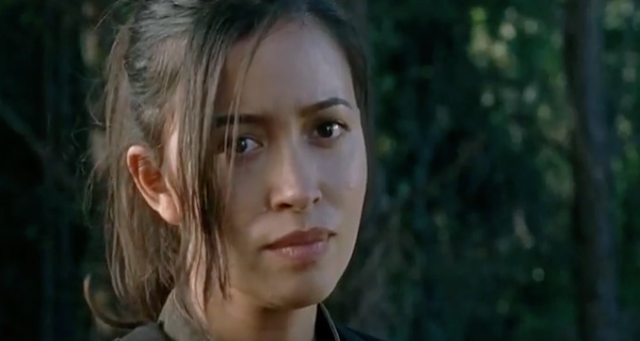 She then turned to Rosita, "And I wanted you here because you're alone. Probably for the first time in your life. And because you're stronger than you think you are, which gives me hope that maybe I can be too." Rosita, like Eugene and Denise, found herself again. This was a reminder to her by Denise that she is a strong woman. She has her own spotlight now. I feel it. 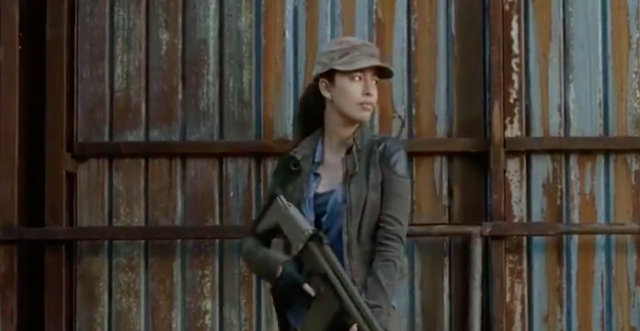 This is why I love Rosita so much. She no longer looks like Abraham's sidekick/fling/whatever. The buildup was scaring me. This was a monologue. At the same time, I was touched by her words. She was trying to find her purpose. She wanted to be useful. She wanted to face her fears. She wanted to be just like Daryl and Rosita. "I could've gone with Tara. But I didn't, because I was afraid. That's what's stupid. Not coming out here." I am now reminded of my last post, wherein Tara was worried about lying to Denise regarding the dilemma she was in. We now see the other half's perspective. We now see that both of them were actually afraid to open up to each other their fears. Both of them were taking risks for themselves, and for each other. It's cute and sad at the same time. I can see the way Denise was placed in this frame. Yep. Something is coming. Something was about to hit her. Wait. NO. NOT DARYL'S CROSSBOW ARROW THROUGH HER EYE!?!?!?! That was sad. She just found her purpose and faced her fear. 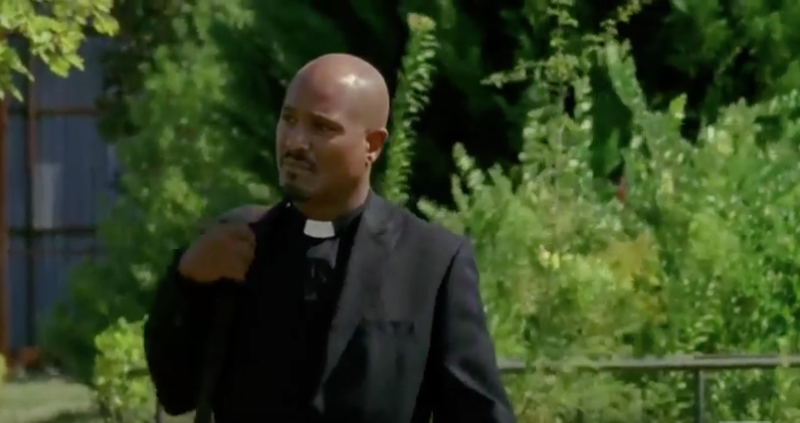 I didn't even have time to lament because Negan's crew is back, and they have Eugene. My focus is now on Eugene. Please save him. I don't want to lose Eugene as he is just about to find his purpose. So there they were. 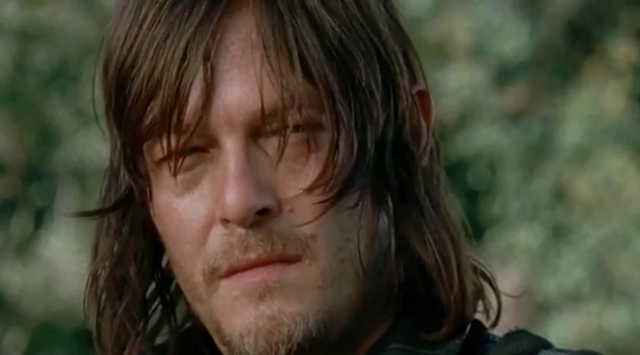 Daryl and the man ... that man from last year... That guy who stole Daryl's crossbow! Face to face. Hi Dwight. He's back. Daryl was pushing all their buttons. Stop Daryl!!! Anyway, Dwight clearly stated that Denise wasn't even the one he was aiming for. He wants to be let in to their complex. While this was happening, Abraham was behind them. I couldn't help but laugh at Eugene. He set Abraham up to these guys. 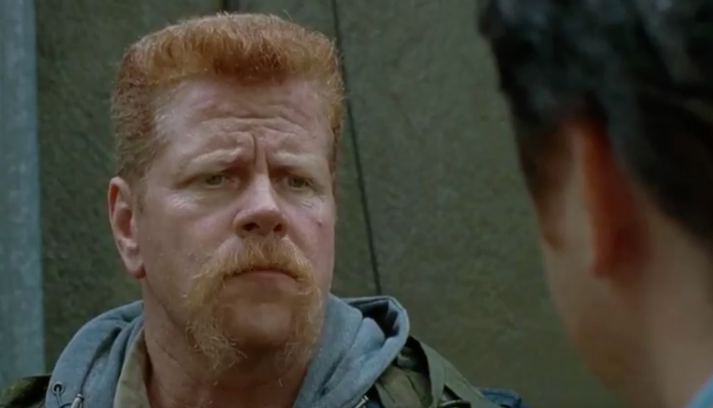 He told the guys that Abraham was behind them, so Negan's crew checked the place out to see if he was there. 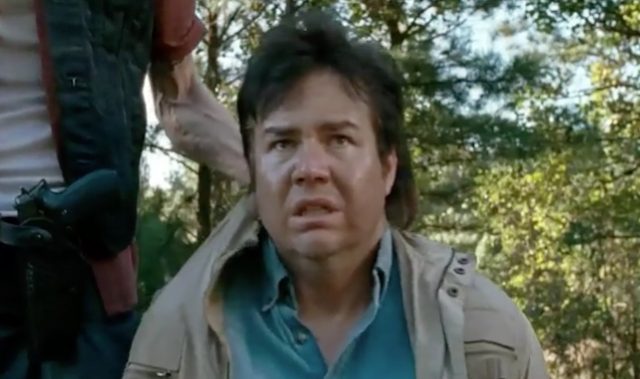 EUGENE BIT DWIGHT. There. Over there. Man. 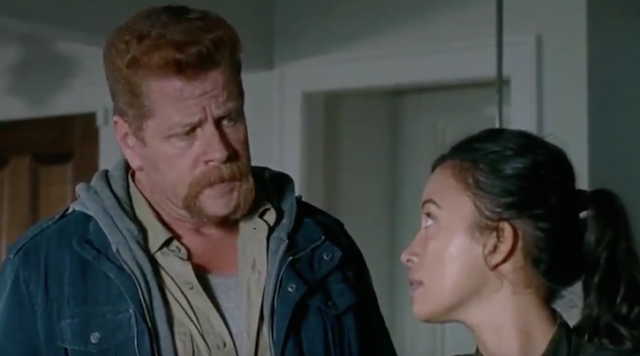 I love how Rosita saved Abraham's life. I feel like this was such a lovely scene. An indirect way of showing forgiveness and acceptance. I don't know. Maybe it's just me. And of course, the walkers had to come. But they weren't the main attraction. 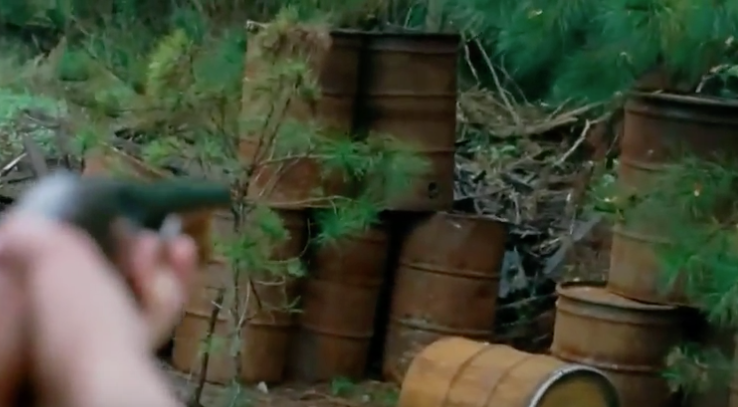 Negan's crew retreated, and Rosita had to stop Daryl from continuing the fight. They then carried Eugene, as this really sad song played, and Denise was sort of left behind. He looked at Abraham and said, "I was not trying to kill you. I was looking for a moment." Abraham replied, "You found it." He apologised for questioning his skills. He welcomed Eugene to Stage 2 (like the RPG game). Eugene insisted he's been there for awhile. Eugene found his purpose and proved it. I forgive you, Abraham. 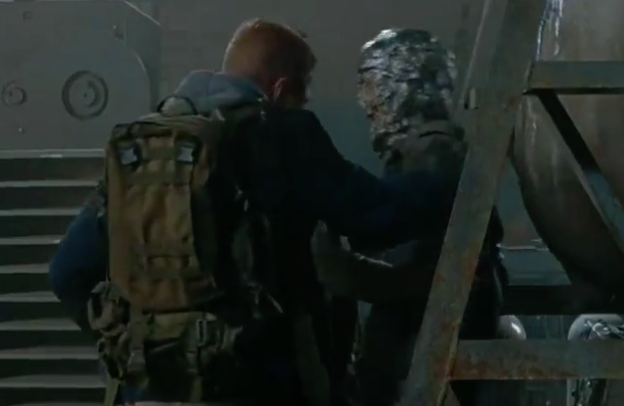 I found the tension gone between him and Rosita as well, thanks to Rosita's indirect action of care. We then see Abraham in front of Sasha's porch. Sasha looks sad. He said they had choices. And Sasha decided to invite him in. I still miss Bob. But that's okay. 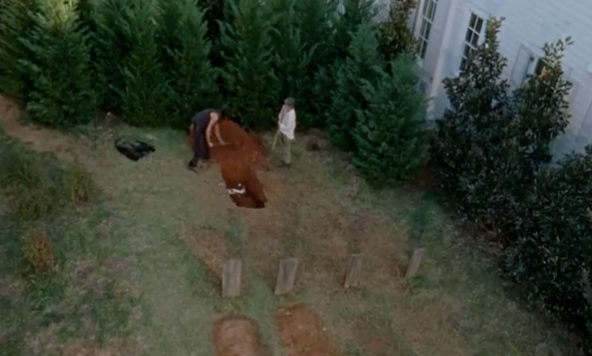 Carol and Daryl were then seen shovelling for Denise's grave. These two. Their dilemma with life. Morality. Conscience. Carol said Daryl was right. And then she wrote Tobin a letter. It was more than just a breakup letter. She wrote to say goodbye. Her guilt has taken its toll on her. And she had to go away. She could no longer kill. "I'd have to kill for you and I can't. I won't." She was once sent away by Rick. But she ended up coming back and staying. But she can no longer love anyone, because she can't kill for anyone. "So I'm going like I always should have. Don't come after me please." And just like that, Morgan looked at the bench. Carol was gone. THIS IS YOUR FAULT, MORGANNN! Jokes. 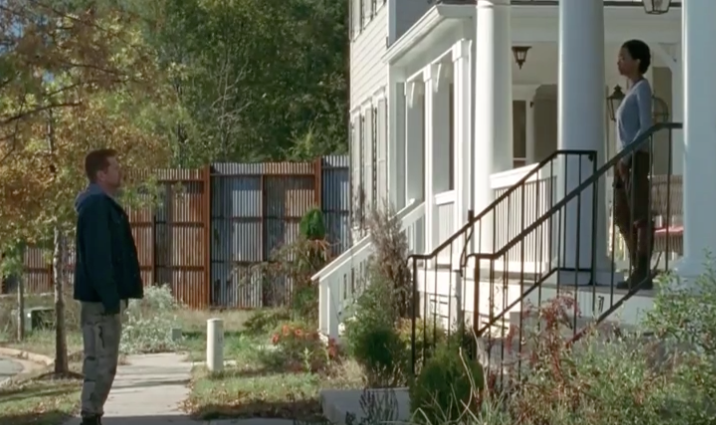 We're then back to the scene that was similar to the intro, but instead of having the daily routine of Alexandria, we now see that they were getting serious. 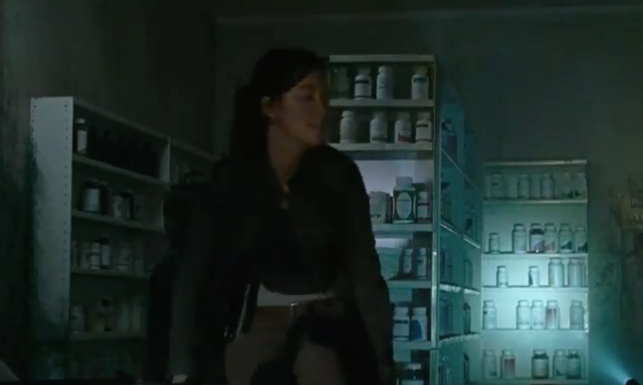 And then there's that awkward Rosita and Sasha scene. But yeah... I don't want to lose Carol. I still hope she'll be saving them again just like what happened in Terminus. You know... She's gone and she comes back. But you know that this is THE WALKING DEAD. Something has to be twisted. And I love twists. Sorry for the less craziness in this episode recap. I feel like this was too emotional and I can't inject humor here. Anyway, "Twice As Far" was all about the characters finding themselves. Especially Carol. CREDITS: All images belong to AMC.